How cool is this?!?!?! I am so tickled that you got chosen for this “award”. I cannot wait to see the lucky ones your nominate! Congrats! Great job! I really liked ready this! Just thought you should know, you’re a pretty wonderful woman! Thanks so much for the blog award! I will try to pass it along if I can find the time to find 15 new blogs. lol Anyway, you have a very nice blog and I am now a follower. I look forward to visiting again soon. Wow, thanks for the nomination, Penny! I actually got the same award from Laura a few weeks ago. I’m off to create my own blog. Thanks so much for choosing me! I hope you don’t mind but I never can decide which blogs to pass awards on to so I’ve just decided not to accept awards. But I still appreciate you thinking of me! 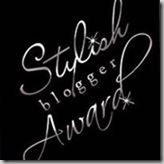 I have posted my blogger award and linked to you. (I couldn’t remember if I had notified you yet.) Thanks again for the nomination! Please overlook my forgetfulness, lol! I’m in such a hurry!